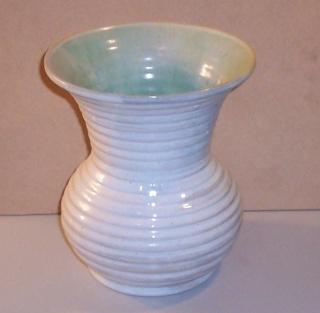 Nell McCredie (1901-1968) began potting with L J Harvey in Brisbane and set up a studio in Epping, Sydney in 1932. 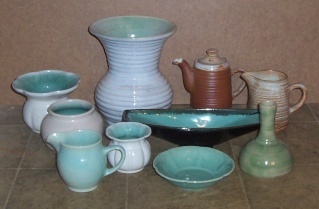 She made a large range of slipcast and handpotted ware and also gave classes in the city. 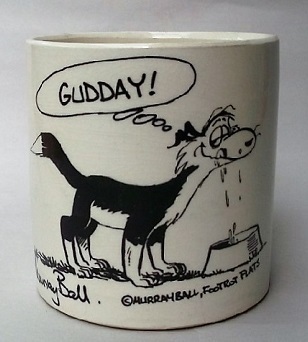 which suggests it was made for Hastings Deering, a machinery firm, as a gift item. 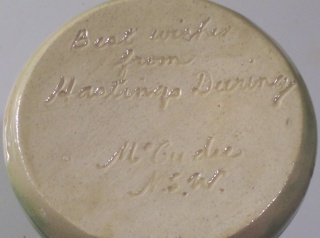 The cursive inscribed "McCredie NSW" appears on most of her work. 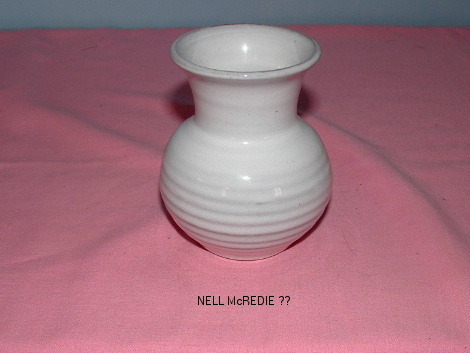 Is this a Nell McCredie - John asks??? 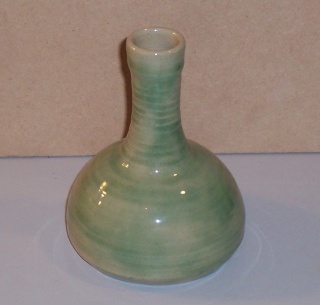 This has 901 on the base a line scored under the 01. John asked the nice man from Timaru about this some time ago and his response was that it wasn't Crown Lynn. I've never seen McCredie pieces with numbers and the marked ones that I have seen have her signature. The bottom section looks similar but the top too character less. We'd have to find a similar shape with her signature.